Yep, you’re in the right place - it’s the official new website of the Alabama Gulf Coast Zoo! When our first website literally blew away with the rest of the zoo during Hurricane Ivan in 2004, we decided to keep things pretty simple when we made our comeback. But now that we’re building a brand new, beautiful zoo with lots of bells and whistles (opening later this year), it was time for our new website to join the party. 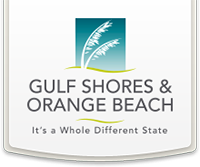 We invite you to explore, be inspired, pick up a few smartypants animal tidbits you can use to impress friends and family, and of course, to easily find the information you need to pay us a visit here in Gulf Shores, AL. While our new website is a work-in-progress, we also hope you’ll take a moment to learn about our amazing, one-of-kind story, check out our various educational programs, consider becoming a contributor in our new zoo adventure, and most of all, meet the charming and beloved animals of the Alabama Gulf Coast Zoo. Stay tuned for future postings from our fantastic zookeeping department on life at the zoo and other monkey business! In the meantime, there’s plenty of fun to be had at the current zoo. Who doesn’t want to meet our adorable, new lion cubs, Jabari and Nandi? You can also catch up on what’s going on at the new zoo by simply clicking on New Zoo News. We look forward to seeing ya’ll real soon!